Renault India has finally rolled out its most awaited Renault Duster compact SUV in the Indian car market. The SUV is launched in both diesel as well as petrol engine options. The Renault Duster 85PS Diesel RxE is the base diesel variant of the car, which is powered by a dynamic 1.5 litre of dCi diesel engine that produces maximum power and torque of 85PS and 200Nm respectively. The engine is coupled with the five speed manual transmission that let it deliver a very good mileage of 20.46 km per litre. Besides the high class technical specifications, Renault India has worked hard on the appearance of the SUV and has given it a very sleek, chic and stylish look. From front profile to rear end of the car, you would find smooth and flowing contours along with giving a very dynamic and sporty feel. On the inside, the interiors are also done keeping in mind the image of the car and have been given a high class and premium ambience. The car features electro hydraulic power assisted steering wheel, power windows, and air conditioning system with heater, comfortable seating arrangement and many more. 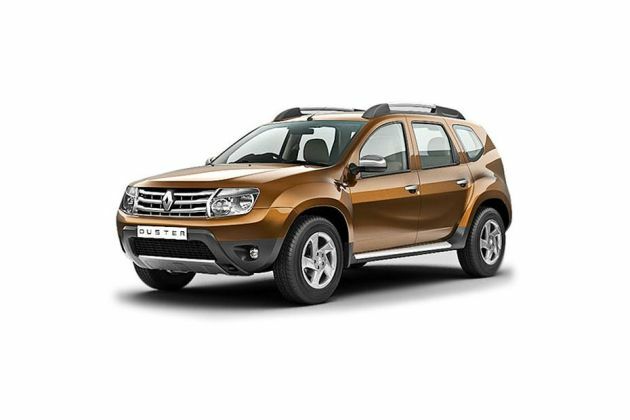 Overall, Renault Duster 85PS Diesel RxE is a complete compact SUV, which is not only loaded with numerous features, but is also easy on pocket. The exteriors of Renault Duster 85PS Diesel RxE are worth mentioning. The length of the car is about 4.3 meters but it appears to be more than 5 meters. The look of this compact SUV by Renault is an ideal mix of dynamic and muscular attitude. Starting with the front end of the SUV, the stylish grille is accompanied by a broad chrome slate that sports bold and beautiful Renault Badge. This is well-blended with twin barrel headlights. Furthermore, the front bumper is dual toned and has been done with utmost care and concern. The side profile of Duster RxE Diesel features well done wheel arches sporting the bold and big 16 inches of alloy . The car also features body colored door handles and body colored ORVMs. Lastly the rear end of SUV completes the entire look of the car with the chic tail lights. These tail lights are complimented by an impressive rear bumper. The chrome finished exhaust pipe enhances the overall exteriors of Renault Duster RxE Diesel. The interiors of the new Renault Duster 85PS Diesel RxE have been made premium and comfortable from every angle. However, if compared to its older brother, Renault Koleos’s, the Duster RxE Diesel interiors are not as lavish as of Koleos but are quite agreeable. The car has classic black fabric upholstered seats with chrome finished gear knob. The centre fascia finish and the door grab handle have been done in Glossy metallic grey while the floor console finish is in charcoal grey color. Overall, this five-seater compact SUV has the interiors, which appealing as well as comfortable for the drivers and passengers. Renault Duster 85PS Diesel RxE is the base diesel variant of the freshly launched Duster SUV. The car has been blessed with a dynamic and aggressive 1.5 litre of dCi diesel engine with four cylinder in-line . The engine uses the common rail direct injection system, which manages to churn out peak power of 85PS at the rate of 3750rpm along with 200Nm of maximum torque at the rate of 1900rpm. This 1461cc of engine has been coupled with five speed manual transmission, which in turn makes the car to deliver a good mileage of 20.46 km per litre. Coming to the pickup and acceleration of the car, Renault Duster 85PS Diesel RxE is quite nice. When accelerates the SUV zooms away with a crest speed of 156 km per litre and goes from 0 to 100 km per hour in about 13.9 seconds , which is quite impressive. Overall, Renault Duster 85PS Diesel RxE is a great performer on road and the mileage figures would further make the SUV quite easy on pocket. Renault Duster RxE Diesel has a superb braking and handling system. The electro hydraulic power assisted steering wheel that takes the drive a couple of notches higher. The braking system comprises of ventilated disc on the front and the drum brakes for the rear. The suspension system present here is also striking. The Independent McPherson Strut with coil Springs and anti roll bar is in the front axle, while the torsion beam axle with coil spring and anti roll bar is present in the rear. This suspension system makes the drive for the driver an absolutely great experience as the rough Indian terrains and pot hole doesn’t affect the smooth ride in Renault Duster RxE Diesel. Renault Duster RxE is the base diesel variant of Duster SUV. Consequently, the variant misses out on Anti lock braking system, Electronic Brake force Distribution system and brake assist. But the SUV certainly is blessed with many other safety features such as engine immobilizer, door open warning lamp, engine protective under guard and central locking system. The car variant also doesn’t have airbags, which is a bit of a distress. Renault India has taken care of the comfort department in Renault Duster RxE Diesel. The car variant has been blessed with plentiful of comfort features that confirm that the journey is relaxed and relaxing for the passengers. The new Renault Duster RxE comes with keyless entry, power windows with illuminated switches, air conditioning system with pollen filter and heater, tilt steering column, foldable rear seat, 12V accessory socket in the front , headlight alarm, front seat back pocket and 2 cup holders. Moreover, to augment the convenience and comfort for the passengers, Renault Duster 85PS Diesel RxE sports bottle holder on console, passenger vanity mirror, digital clock, and versatile rear parcel shelf with storage space, front map lamp, theatre dimming interior lamps, key answer back function and electric backdoor release type. All these features make the car quite impressive and a better option as compared to other SUVs available in the market today. Light weight, properly designed exteriors, high comfort and elegant interiors, are the major highpoints of the new Renault Duster RxE Diesel. Lack of ABS, EBD, Brake assist and airbags.